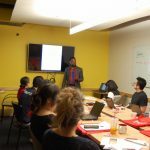 As part of the upcoming Seattle Coworking Week (September 18-22nd, 2017) hosted by the Seattle Collaborative Space Alliance, we thought we’d take a look at how far the coworking industry has come since its humble beginnings. A bunch of like-minded people working in rented office space–sometimes together, other times on their own; these people can range from freelancers, to entrepreneurs, to startups, to big enterprises and more. It’s all about autonomy and flexibility, a hallmark of today’s gig economy. You can come to work when you want, choose the environment and people you want to surround yourself by, and expand your office space as needed. Coworking culture can differ from place to place, but it commonly allows for networking amongst individuals from different industries and promotes innovation, a sense of community, and collaboration. Coworking offers a cost-effective and stimulating happy medium for those who need daily human interaction but have a hard time focusing at cafés and dislike the rigidity of formal office spaces, preferring to get work done surrounded by other people that are similarly determined and focused. The 2017 Global Coworking Survey anticipates over 1,000,000 people coworking this year, with 14,000 coworking spaces operating by the end of the year. Even corporations like “Microsoft, GE, Dell, Sales Force, and Deutsche Bank” have gotten in on the action, with “the number of enterprise companies using [coworking giant] WeWork grow[ing] by 90 percent, while the number of members from enterprise companies increased by 360 percent” (“Coworking Spaces Aren’t Just for Entrepreneurs Anymore“). Overall, coworking is proving to be a mainstay as the gig economy expands, and for every different gig out there, there are just as many coworking spaces–each unique, with distinct personalities that span across various industries. Let us help you find the perfect one to suit you and your business. 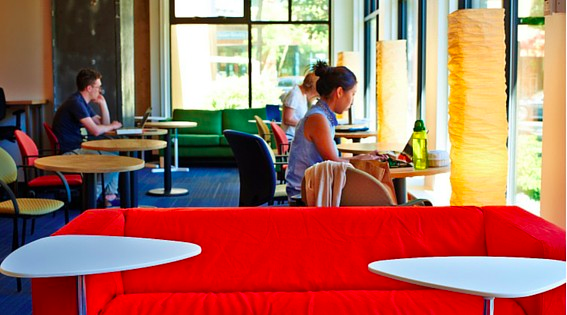 If you’re interested in seeing what it’s like to cowork, now is the time to try it out! 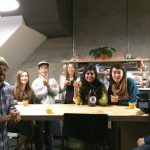 As part of Seattle Coworking Week, coworking spaces within the Seattle Collaborative Space Alliance will be holding free coworking days, networking events, and workshops. Check out the week’s happenings here! Hing Hay Coworks will be holding a free coworking day from 9:30am-5:30pm on September 21st as well as hosting a tour of the Chinatown International District from 11am-12:30pm. Come check out our space and get an intimate look at our neighborhood! New members get 30% off first month rates. Afterwards, get a taste of our favorite local eateries at the last Happy Hour Food Walk of the year, with cheap eats and offerings from a myriad of restaurants. You can RSVP and find more info here! This is great! It’s all about autonomy and flexibility of a bunch of people that can range from freelancers to entrepreneurs. Thank for sharing your site.